Have we just made a huge discovery on time travel? The groundbreaking discovery of gravitational waves may hold some huge implications. The massive discovery of gravitational waves recently opens up a fascinating question: could it help us figure out time travel? The stunning discovery by a team of astrophysicists last week just made one of the biggest scientific discoveries ever by confirming Albert Einstein’s long-held believe that gravitational waves exist after scientists observed two black holes smashing into each other, according to a Daily Beast report. The finding both confirms Einstein’s general theory of relativity and also enhances are understand on how space and time interact, and it could permanently change the field of astrophysics — but could it also open possibilities for time travel? 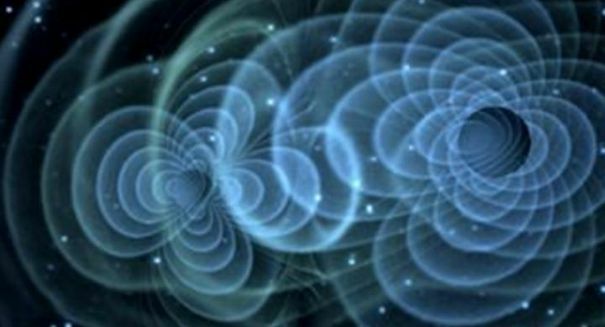 Kip Thorne, who was part of the research team that used the Laser Interferometer Gravitational-wave Observatory (LIGO) to make their findings, threw cold water on that idea, saying he doesn’t think the discovery will bring us any closer to time travel. But then again, the report notes, Nobel candidates are typically modest about their discoveries. If time travel is a possibility, general relatively will likely be key to the discovery. David Spergel, a theoretical physicist at Princeton University, said in an interview with the Daily Beast that the discovery is massive for the purposes of looking into the plausibility of time travel. Science would still need to demonstrate that negative mass particles exist and whether wormholes could be stable, but the current theory of general relativity seem to suggest that its at least theoretically possible. The reason why some think that time travel is possible is because of how gravity works. Gravity is essentially the product of mass that warps the fabric of space-time. As objects get closer to a massive object, like a black hole, time becomes ever more warped. It’s been theorized that time travel would be possible using these huge gravitational fields. The idea is that around a supermassive black hole, point A on one side of the black hole gets closer to point Z on the other side as the warp of space-time intensifies, and it can get so intend that A and Z can touch, allowing for something, or someone, to bypass points B through Y completely, according to the report.